A Massive earth quake lasting well over a minute were felt across northern India after a 7.5 magnitude earthquake hit Nepal this morning. Tremors were felt across eastern and northern parts of India, said JL Gautam, Head Operations Seismology of Indian Meteorological Department (IMD). "Earthquake of magnitude 7.5 occurred today at 11.41 AM between latitude 28.1 North and Longitude 84.6 East. The epicentre was located in Nepal," an IMD statement said. Delhi Metro service is stopped for a while. There have been no official reports of damage or injuries. 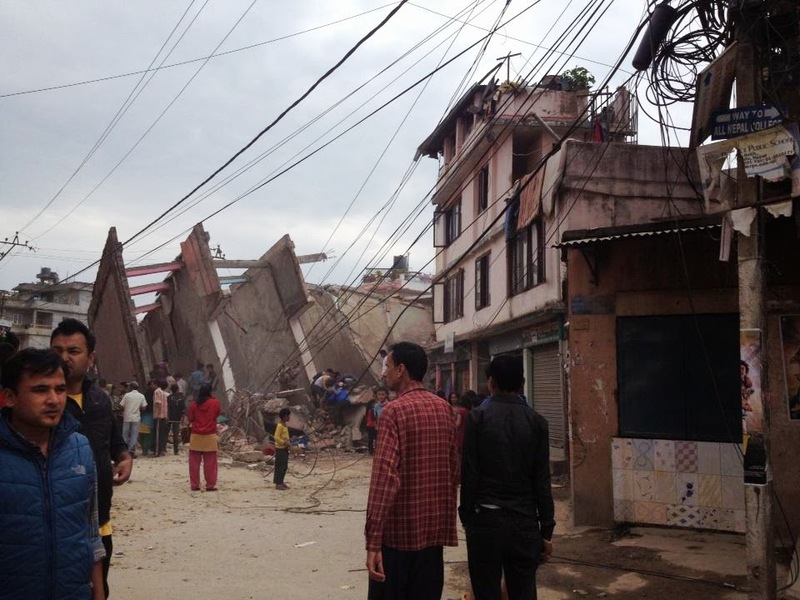 However, Reuters witness said some buildings in Kathmandu had collapsed. Tremors were also felt in Patna, Lucknow, Kolkata, Jaipur, Chandigarh and other cities. Nearly half an hour after the first tremors, aftershocks were felt again around 12:20 pm across North India.